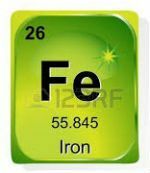 Iron In Aquaponics - How Much Do You Need For Your System? Depending on the type of plants you grow, your water quality and the quality of the feed being fed to your fish, you may never have iron deficiency issue. So, naturally the first step is to identify if you have a problem with iron in your aquaponics How would you know? Well, visual check is normally the first option, as you should know the tell-tale signs of iron deficiency in your system. Now, if you see your plants yellowing with the veins in your leaves or some of the leaves remaining in green, chances are your plants have “chlorosis”. This is a symptom of your system lacking the element of iron. Alternatively you can use an “Iron Checker” from to do the job for you. It is a device that lets you check the iron content in your system with ease. I would recommend an iron checker from Hanna Instruments and it is of compact size, accurate easy to use and it reads in ppm. Or get one that reads in ppm (parts per million). That’s simply because I can only advise you based on that unit of interpretation. Bear in mind that your target range here is between 2 to 3 ppm at. 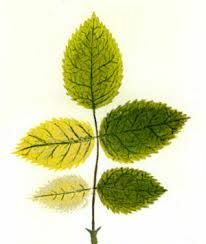 You would most probably see that your leaves start to yellow when you hit the reading of about 1.5 ppm. Fe-EDTA – It is 100% effective at pH 6.5 or lower but losses effectiveness rapidly as pH goes aboe 6.5. Fe-EDDHA – Effective even up to pH above 8. The downside is it’s expensive and turns your water cherry-red. Fe-DTPA – Fully effective up to pH 7.5 and it’s light on the wallet too. 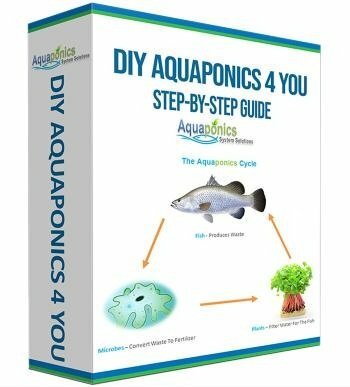 This comes highly recommended by us here at AquaponicsSystemSolutions.com. Now comes the next question; How much iron should I add to my aquaponics system with? Well, Dr Rakcocy of University of the Virgin Islands (UVI) who is an advocate to Fe-DTPA, recommends dosing 2 mg/liter (7.58 mg/gal) every 3 weeks. That would also depend on the percentage of iron content in the product that you are using. Aqualron DTPA chelated iron comes with 10% iron. So, the dosage that needs to be added with its product is similar as mentioned above, or you can make it even at 7.6 mg/gal every 3 weeks. That comes to about 1.5 teaspoons or roughly half of a tablespoon per 100 gallons of water every 3 weeks. Take note, this measurement is specific to Aqualron DTPA product. This could be different with other chelated iron products in the market. There’s another important point to keep in mind before you start with the dosing and that is; what’s current existing iron content in your system? Iron in your system could be contributed from your water source. The iron content in your fish feed and the iron needs of the specific plants that you are growing must be taken into consideration as well. Therefore, it is always a good idea to get an iron checker to determine your system’s iron content in the first place. And then adding chelated iron to your system to a comfortable spot of 2 to 3 ppm. So, there you go! A brief lesson on iron in aquaponics and how you can best handle and deal with it the most effective way. Hope this helps…cheers!